Product prices and availability are accurate as of 2019-04-23 22:11:07 BST and are subject to change. Any price and availability information displayed on http://www.amazon.co.uk/ at the time of purchase will apply to the purchase of this product. 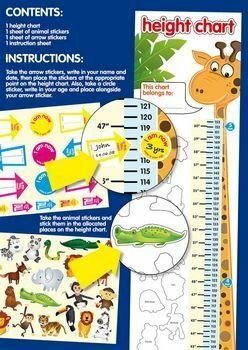 New Children's Height Chart Bright and colourful, this height chart has a jungle theme. The chart measures heights between 55 cms and 153 cms. 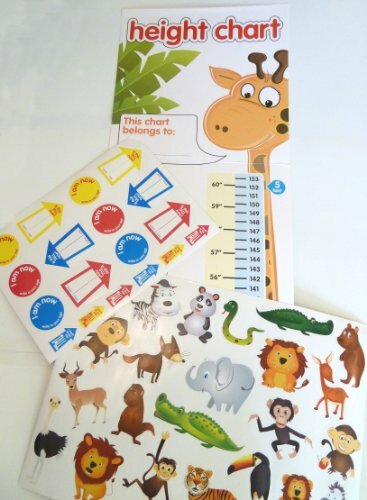 The set has 41 stickers including various animals, which are to be placed next to the height chart. Other stickers include arrows with "is this tall now !" with the space for the childs name and date. 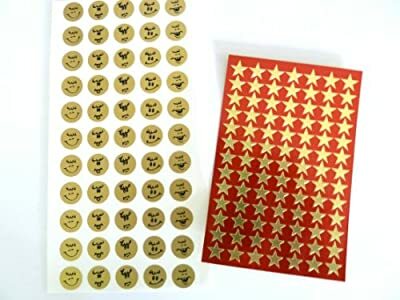 Also circlular stickers "I am now....write in your age". Fantastic fun for the kids and a lovely record of their growth.